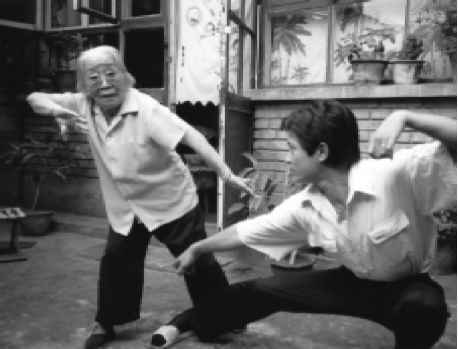 One old lady is the Honorary Director of the Chinese Qigong Scientific Research Association, Consultant to the Beijing Qigong Research Association, Consultant to the Hudang - Boxing Research Association. Also she is President of the China Dayan (Wild Goose) Qigong Association (Dayan Qigong comes from her family). In 1986 she was on the cover of China's top Qigong magazine, 'Qigong & Science', She is Master Yang Meijun. At her home in Beijing many people come to visit, asking her for Qigong treatment or to study Qigong even though she has reached an age where most would have already retired. She still receives many invitations to travel to Wuhan, Wu Toy Shan, Guanzhou, Hong Kong and many other places in China. All because her level is so high and her knowledge of Qigong so deep and so profound, especially her family's skill: Daoist Kunlun Dayan Qigong. She can transmit her Qi to make you warm, make your body shake and even make you cold. She can see the colour of your Qi (aura) and she can diagnose your illnesses by looking at you or touching you. Particularly she is able to transmit her Qi with the fragrance of five different types of flowers, special incense, Jasmine, or nut. Her skill has been recognised by the Chinese Government and abroad. 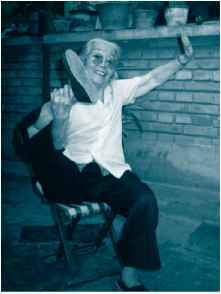 Her Wild Goose Qigong has been published in print many times. In Chinese, English, even in German and French. Her teachings have spread all over the World. Actually her life has been very dramatic. She was born in the time of the Qing Dynasty. At this time all the men had to wear their hair in pig tails and shave the front part of their head, otherwise the Qing government would chop off their heads (keep your hair and ose your head or lose your hair and keep your head!). Her family was very poor and her father needed to work pulling a Rick Shaw transporting people from place to place. He had to work very hard just to maintain his family. She had a grandfather who she noticed didn't wear very cool clothing in the summer or very warm clothing in the winter, and he never caught a cold or became ill.
One evening, when she was 13 years old, her grandfather took her to a room 'a spiritual room'. He told her to kneel down in front of a statue of the Buddha. He then lit some joss sticks and told her to worship the Buddha three times. Her grandfather said "Today, whatever we say we are responsible to the Buddha. 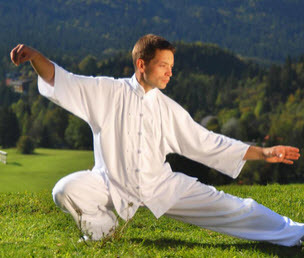 From now on you will follow me to study Dao and Qigong. What ever you learn you are not allowed to teach until you are 70." Little Yang Meijun just listened to her grandfather and told him that she had always respected and listened to him. She thought that no matter what he taught her she would always listen. Her grandfather continued to say "When I was a teenager I studied with a Kunlun Mountain Daoist Qigong master. 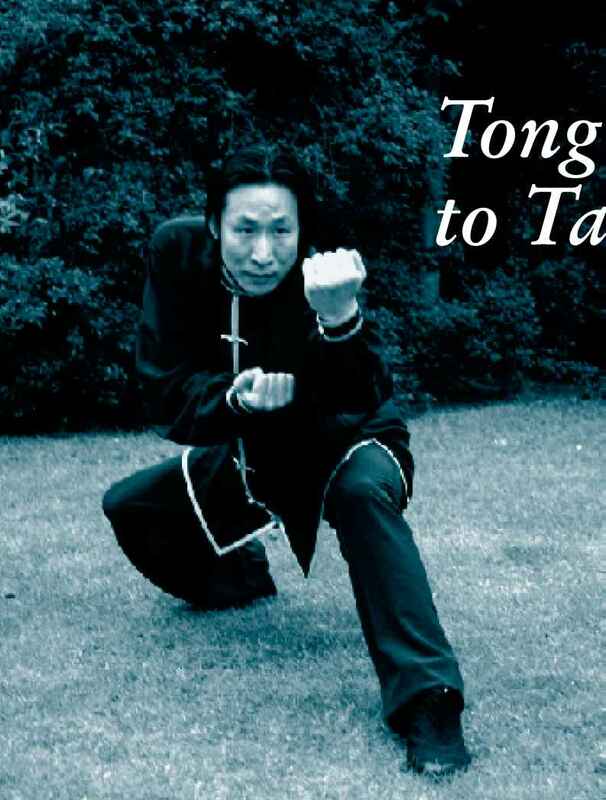 He taught me many skills: Qigong, martial art and healing. These skills have never been taught to the outside, only passed down inside his family. Before I thought I should pass them down to your father, but he is already fifty and it will be difficult for him to learn my skill. I am getting older, I need to teach someone otherwise these precious skills will be lost. Now you are the only one person suitable for this skill, you have the age and the time. Tomorrow we will go to the temple and perform the ceremony." After this little Meijun went back to her room and almost could not sleep. The next day, her grandfather took her to the 'White Tower Temple' in Beijing. In front of a statue of Kuan Yin (a female Buddha), he told her to worship and swear. 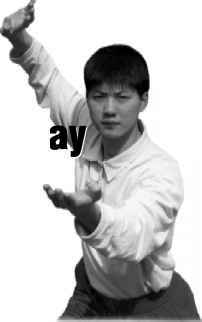 He said to her "From now on you are the 27th generation inheritor of Kunlun System Dayan Qigong." He then took some things from the bag he was carrying. There were eight copper wild geese, each of them performing a vivid movement: One drinking water, one flying away, one stretching it's wings and one scratching his legs. "Very interesting", thought little Meijun, these must be some toys for her to play with. Instead her grandfather spoke and told her, "These are Wild Goose Qigong movements in Dayan Gong, Dayan Palm and Dayan Fist, you have to follow these movements to do them properly. I will teach you all these movements, but you must withstand the difficulty and continue practising. One day you will fly away like a wild goose, away to get the Dao." Although she did not fully understand what her grandfather told her, she knew she was going to do something important, something that would change her life. She decided to overcome those problems. After all the ceremony they left the temple. When she reached the main entrance, suddenly something with sharp claws attacked her. She was very scared. Suddenly her grandfather was beside her. He pointed two fingers at the thing's head. At that moment she realised that it was a very wild monkey. The monkey appeared to have a very painful expression on it's face, and screaming it ran away. She was very surprised at what her grandfather had done, and she curiously said, "I want to learn that skill so that nobody can attack me. Grandpa, I didn't knowyou had that skill.". He said, "This skill I will teach you, but not for hurting people, it is only for your protection. This skill can also make you live longer and healthier, and you can also help to heal other people as well". He continued by saying, "Qi is the leader of blood. 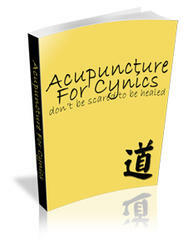 When I pointed at the monkey's acupuncture point the Qi stopped flowing, the blood could not get there, so of course he felt pain." After this incident, Little Meijun moved to live next door to her grandfather's room, not letting her parents know that she was going to study with him. She just said she liked to spend more time with her grandfather. The next day her grandfather suddenly woke her up. It was 3 o'clock in the morning. He said "This is the right time to practise, nobody will disturb us." From then on she woke at three o'clock and practised until 5 o'clock in the morning. She was taught things from basic techniques of Qigong to acupuncture points and principles of Qigong. Little Meijun listened to all her grandfather said and followed all he taught. For the first few days her whole body ached, and sometimes she felt a little tired, but day by day she found her body getting stronger. In the beginning she found it difficult to wake up but after a couple of days her body's timing started to get used to it. She started to learn the Kunlun System Dayan Qigong basic techniques: Dayan Gong 1st 64. She learnt it very patiently and diligently. After her grandfather would check her movements very strictly, sometimes only teaching her something new from time to time. He wanted her to pick up the principle and not to only just copy him. As the time passed from month to month she learnt the Dayan Gongs 1st 64 and went on to the 2nd 64. She picked up things very quickly and this made her grandfather very happy. He had found a good, suitable inheritor for his high level Qigong. One night she asked her grandfather "Why do we practise at midnight and not in the day time?". He said "Do you know why the Morning Glory blooms at four o'clock in the morning, why the Peony smiles at seven, Tuberose releases it's fragrant smell at eight? In the morning from three to five o'clock is the 'Yin' time (this Yin refers to the third hour of the Chinese clock, not as in Yin and Yang). The Qi runs through the lung channels, strengthening them. This is a good time to practise, at this time your Qi will be stronger. Although little Yang Meijun was young, she found that when she put the Qigong principles together with the principles of Chinese medicine she learnt very quickly and found it interesting. 64. She even learned higher levels : Dayan Palm, Three Forks Spiral Gong, Dayan Fist, Twining Hand Bagua, Sun Gong, Moon Gong, Long Distance Vision Dan Gong, 24 Stars Gong, Sky Eye Gong and many other high level Qigong skills. She also learnt a lot of weapons: sword, spear, etc. She can use two small swords to transmit a Qi ball with a very strong light. "She listened to her grandfather and followed all he taught. lunar month her grandfather wanted her to practise harder than usual. She asked him "why?". He said "You know that on the 1st and 15th day the moon is full. There is more energy than usual and the moon is closer than usual, so you can gather more energy. Once her grandfather asked her a question to see how much she understood. He said "Little Jun, do you know why we start and practise on the left side first?". She pretended it was nothing serious and answered "The left side controls the blood, the right side controls the Qi which runs faster than the blood. So we practise more on the left than the right to get the Qi and the blood to balance. Am I right Sifu Grandpa? ", and she blinked at him with 'cunning eyes', hoping to receive a reward. This made him very proud of his granddaughter. 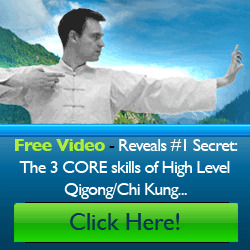 With many years of industrious training she really tasted the benefit of Qigong. Her body got healthier and stronger. Sometimes she did not eat: she didn't feel hungry. Often three to four hours of sleep a night was enough for her. These improvements went unnoticed by her parents. Her grandfather saw that little Meijun had picked up his skill, and he happily left her for heaven. After a few years her mother also left. Then all that remained of the family was her father and her. To the rest of the world, 1 July 1997 was the day Hong Kong went back to China. For me, it was the day I met Chen Xiao Wang, my Sigong. I think in the future taiji historians will look upon Chen Xiao Wang's coming to the West in the same manner as we view Yang Lu Chan's leaving Chen village and going to Beijing: a milestone in the development of Taiji. Sigong first talked about his philosophy of life. Your life should be like the taijitu (what is often wrongly called the yin-yang symbol), constantly flowing, never stagnant. Some people are lucky -they have a lot, so their taijitu is a big circle. Others don't have much, and their taijitu is a small circle. What ever your situation, how big or small your taijitu, so long as you keep it rotating you will be O.K. If you are very rich or famous then there will always be a chance that you may lose your position or wealth. When this happens you could say that your taijitu has become small. This in itself is not fatal, however if it happens often you lose hope, and your taijitu stops rotating. This is the worst thing that can happen, and sickness and depression are sure to follow. If you keep your taijitu rotating however there is always a chance that things may get better again. Towards the end of the evening, Sigong showed a self defence technique for a knife attack that involved a lock. We practised it on each other for a while, and then he asked for two volunteers to demonstrate it to him. When I looked around, every one else had taken a step back except for myself and Darryl Moy, so we were on the spot. After our valiant effort, Sigong said, "Now try it on me". "The last thingyou want is the inheritor of Chen Taijiquan trying to stab you, even if it is only with a ball point pen!" Now the last thing you want to be faced with is the inheritor of Chen Style Taijiquan trying to stab you, even if it is only with a ball point pen. 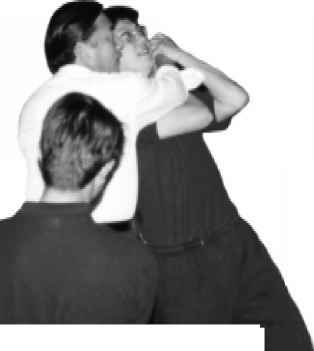 However he gave me plenty of time to manoeuvre and apply the wrist lock he had shown us. Then came a moment that every martial artist is familiar with. The feeling that what you have just done hasn't worked and something very nasty is about to happen. Before I knew what was happening I was in mid air, upside down, looking at the ceiling between my feet, on my way back down to the ground! I didn't notice any tension in Shigong's hand, but trying to twist his wrist was like trying to twist a metal bar. The spiral like movement that released the lock also allowed Sigong to close in. The throw was achieved using two opposing forces: one across my chest and the other in the small of my back. The effect was to spin me through the air a full 180 degrees. To my horror, when I got back up Sigong said, "Now try again, with both hands". This time the position of my hands meant that they became trapped against my body, and Sigong used a single push through my trapped hands and into my chest. The effect was to send me horizontally through the air several metres and crashing down on my shoulder blades. The crowd made an "Oooo" noise, much like you hear at Wimbledon. Now this has made me realise a few things about fajing. If you push someone hard, and the point of contact is not at the centre of gravity, then they are going to flip over. It is like watching two cars collide. After impact the least stable car will spin away from the other, and maybe roll over. If you want to transfer as much force into an object as possible, you should be very relaxed until the point of contact, and then apply the force. If you have any tension when contact is made, the object will tend to bounce away fromyoubefore youhave fully unloaded. You can see this if you hold a tennis racquet too tightly: the tennis ball will bounce away from it before you have completed your follow through.